Lynns is a proficient furniture removalist ready to assist you with your next major home move. We treat every appliance and piece of furniture with the utmost care, working hard to ensure your belongings arrive safely and as good as new. Do you require storage? Lynns is a leading provider of storage options in the Shoalhaven. With our own securely monitored warehouse, we can store your furniture, valuables, or other possessions for any length of time. At Lynns we know how challenging moving your office can be. That’s why we’re here to streamline the process for you. Working with you every step of the way, we’ll make sure your office removal is efficient and hassle-free. Do you need your beloved pets to get from Point A to Point B? At Lynns, we’ve handled the careful transportation of our customers’ cats, dogs, and other animals. Wherever you’re headed, we can ensure your family pets arrive safe, secure and stress-free. Using the finest equipment and working to the highest standards, Lynns can manage smooth, expert transport of your vehicle. Whether you’re moving across the state or further afield, Lynns is the team you want to deliver your car, caravan, or other vehicle. It’s wonderful to purchase new furniture, but unless you have the right vehicle, equipment, and manpower, how will you get it home? That’s where Lynns comes in. Our talented team of movers can pick up your new furniture item, delivering it directly to your home. Situated in beautiful Ulladulla, Lynns Removals & Storage specialises in serving our neighbors in the Shoalhaven and throughout NSW. From streamlined home and office removals to professional storage, our company has a reputation for success. 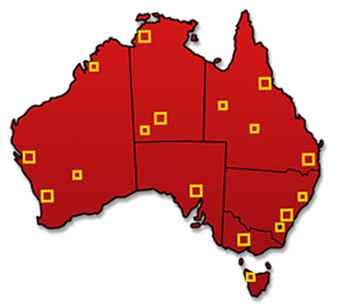 Whether you’re moving locally or to other regions of Australia, Lynns offers the same trusted service. We know that a home move can be a major undertaking. That’s why we’ll be there every step of the way, from Nowra to Perth, Adelaide to Cairns, and everywhere in between. Working with premier international movers, Lynns is prepared to help you make the leap overseas. With excellent care of your goods and the utmost attention to detail, we will work together to ensure your belongings arrive safely abroad in a timely fashion. South Coast-based Lynns Removals & Storage is an experienced, friendly team offering a full range of removal services for your next home or office relocation – whether local, interstate, or international. We are an established, family-owned Shoalhaven business, providing exceptional removals, storage, and more to Australians throughout NSW and beyond. We’ve been in business for over 30 years, and have built a solid reputation for reliability, courtesy, and expertise. We bring our vast knowledge and experience to the table, assisting each and every customer with personalised guidance, helping to find the ideal solution for your particular needs. As first class removalists, we are proud members of AFRA, which guarantees our adherence to the highest standards of service in everything we do. When Lynns handles your local, interstate, or international relocation, we take incredible care of your items, treating them like our own and ensuring each precious possession arrives in the same condition in which it departed. For your storage needs, we have a sophisticated, spacious warehouse unit, which is fully secured and monitored. When you trust Lynns with your belongings, we’ll keep them safe and protected. Whatever your needs may be, contact Lynns Removals & Storage, to work with a company you can depend on.